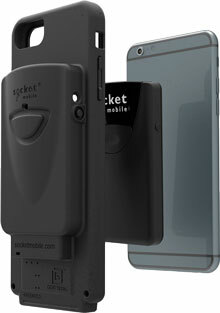 Socket Mobile (Newark, CA) has shipped its DuraCase for Apple iPhone Standard and iPhone Plus (6/7/8). 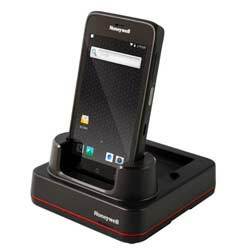 It encloses the iPhone and the company's SocketScan 800 Series 1D/2D Scanner in durable antimicrobial rubber casing, with integrated connectors. It may be deployed via Keyboard Emulation Mode (HID) or Capture SDK (Software Development Kit). As added weight, DuraCase adds 2.5 oz. for iPhone 6/7/8, and 2.9 oz. for iPhone 6/7/8 Plus. A single-charging unit or six multi-bay charging station are offered, with magnetic contacts for ease of docking. A DuraCase for iPhone follows success for developers with the DuraCase for iPod Touch, according to Socket Mobile. Along with Andre Nataf, SVP of the Dealer Channel, Fultz has shaped Heartland POS. (Both executives are veterans of Digital Dining and former owners of dealerships in POS.) As motivations for the acquisition of MobileBytes, Fultz listed: its pure cloud-based technology; its cultural fit with Heartland POS; customer satisfaction with its product; an established base of 1,500 customers and 45 dealers; and its exclusive focus on the channel. "A comprehensive business solution, it delivers, under one platform, functionality such as online ordering, kiosk, loyalty, and more, with in-store options and guest engagement app. Additional features include tableside service, scan-to-pay, and iBeacon customer offers," relayed Fultz, in describing MobileBytes. "It simplifies our merchants' technology environments and reduces their operational burden." 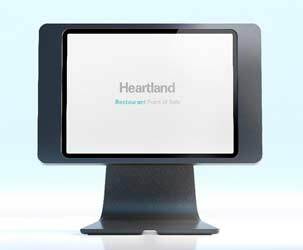 As the largest channel network for POS in North America, as estimated by Fultz, Heartland POS focuses on hospitality "in the less than $100 million SMB." It currently includes approximately 300 VARs. According to Fultz, virtually every employee of MobileBytes has joined Heartland Restaurant. "It will follow all of the same principles that Andre and I have built into the Heartland POS Dealer Program, for example, fairness, transparency, and processor neutrality," stated Fultz. 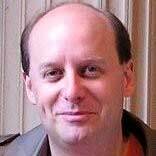 As for enterprise sales of POS, Global Payments has Xenial, formerly Heartland Commerce, led by Christopher Sebes, former CEO of previously purchased ISV Xpient. 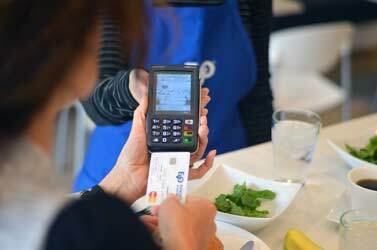 NCR Corporation (Atlanta, GA) has snapped up one of its largest POS VARs: BEC (Denver, CO). A reseller of NCR for more than 20 years, BEC will serve as one of 14 NCR Local Offices, focusing on the Western U.S. With this purchase, NCR will directly manage more than 2,600 sites, including such large customers as Qdoba, Snooze Eatery, and Punch Bowl Social. Acquisition terms were not disclosed. "We're enhancing our ability to take care of our customers each and every day and expanding our overall hospitality portfolio," expounded Michael Hayford, President and CEO of NCR. "This expansion builds on our proven strategy for NCR Hospitality and our commitment to the small-to-medium business segment (SMB), furthering our ability to provide value-added payments solutions." In November 2018, readers will recall, NCR moved aggressively into the payment processing space via its purchase of JetPay (Allentown, PA). Honeywell (Fort Mill, SC) has refreshed its ScanPal EDA50 Mobile Computer with the Model ScanPal EDA51. As major enhancements, the ScanPal EDA51 has Android 8 (Oreo), 13-megapixel color camera, and Honeywell's N6600 1D/2D Scan Engine. It anticipates upcoming Android 10 (Q), RRN was told. As expected, it extends backward compatibility with accessories and chargers of the ScanPal EDA50. In smartphone format of 6.2 in. (L) x 3.1 in. (W) x 0.7 in. (D), weighing 9.6 oz., the ScanPal EDA51 carries 5" capacitive touchscreen (1280x720). As processing, it has Qualcomm Snapdragon 450 Octa-Core CPU at 1.8 GHz, 2-GB/16-GB Memory, and Micro-SD. As communications, there's USB 2.0, Bluetooth 4.2, 802.11 Wi-Fi, NFC, and GPS. As indicators, ScanPal EDA51 features acceleration, light, proximity, and battery status (red/green/blue LEDs). As durability, ScanPal EDA51 furnishes an IP-64 rating for water and dust, 4-ft./1.2-m drop resistance, and operating temperature of +14 to +122 Degrees F. A 4000-mAh Li-ion battery--now configured to be removable in the ScanPal EDA51--supplies 12 hours of run time. As customers, Honeywell identifies small-to-medium-sized businesses (SMB) in light duty retail, pickup and delivery, and field-service. 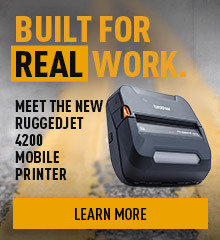 Bixolon America (Gardena, CA) has presented its mobile thermal receipt printer sled, designated the Model SPP-A200, for the M020 PIN Entry Device by Miura Systems (Timonium, MD and Buckinghamshire, UK). With 2" print width, the SPP-A200 features maximum print speed of 3.1 in./80 mm per second at 203 dpi and 1.2-in./30-mm media roll diameter. As direct communications, and charging, it employs the built-in M-Link Connector on Miura's M020. A 1200-mAh Li-ion battery in the Bixolon SPP-A200 furnishes 31-hour standby time. A one-touch cover-open feature, easy paper loading, and 3.3-ft./1-m drop resistance support the end-user, according to Bixolon America. As weight, the SPP-A200 adds 8.5 oz., with dimensions of 5.9 in. (L) x 3.3 in. (W) x 1.6 in. (D). As advanced features, the M020 by Miura has 2.3" TFT color LCD, MSR, and, as options, capacitive touch, signature capture, Bluetooth 4.2, and 802.11 Wi-Fi. Accreditation includes Payment Card Industry (PCI) PTS 5.0, P2PE (Point-to-Point Encryption), and International Common.SECC. "Bixolon understands the migration to flexible payment solutions paired with the ongoing requirement for physical receipting," shared Paul Kim, GM of Bixolon America. "By collaborating with Miura, one of the world's leading payments solutions providers, Bixolon has created this printer sled to extend its mobile printer line-up." 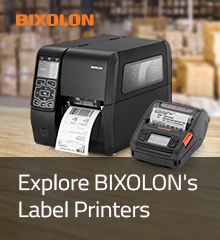 Available for pre-order in all sales regions, the Bixolon SPP-A200. Also, Bixolon can customize the SPP-A200 to fit other PIN Entry Devices, RRN was told. An integration for the independent grocery segment, from Auto-Star Compusystems and Mercato. 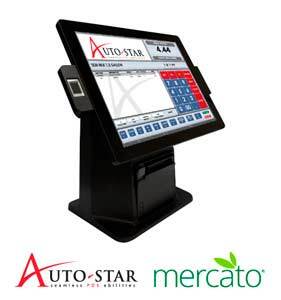 Introduced at the recent National Grocers Association (NGA) Show in San Diego, CA, it ties Auto-Star's Star-Plus POS Software with Mercato's Online Ordering. As benefits, product and pricing information will be automatically synchronized and updated between in-store and online operations, along with real-time inventory tracking, according to the two parties. "We are committed to the success of our customers and partner with leaders in the grocery industry to give them the best tools available for their business," proclaimed Robert Symmonds, President and CEO of Auto-Star Compusystems (Medicine Hat, AB, Canada). "Mercato's feature-rich offering provides grocers with an easy-to-use platform and paves the way for smooth online ordering and delivery." As additional functionality, Mercato furnishes e-commerce, promotion/marketing, and customer service tools for independent grocery retailers. "Given Auto-Star's commitment to independent merchants and progressive technology, this partnership feels very natural for us," testified Bobby Brannigan, CEO and Founder of Mercato (Brooklyn, NY). "We are pleased to help our shared customers compete and win against the big chain stores." At present, Mercato serves approximately 500 independent stores across 15 metropolitan areas in the U.S.
A new path for payment processor Elavon (Atlanta, GA), which will draw upon the customer relationship management (CRM) and business intelligence (BI) by Womply (San Francisco, CA). A combined solution is powered by Elavon's "Payments Insider," its customer portal where merchants may view their statements, compare themselves to marketing trends, and access resources on security and compliance. 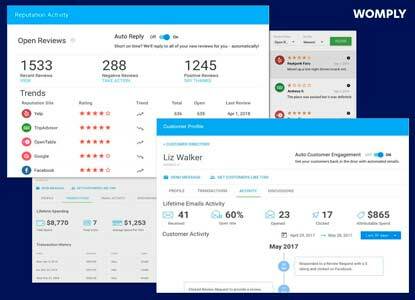 An enhanced platform with Womply now keeps an updated customer directory, produces marketing campaigns, and leverages social media (e.g., Yelp, Google, Facebook, and Trip Advisor). All in the name of enhanced "customer acquisition, retention, and engagement" according to Elavon and Womply. "Elavon enables merchants all over the world to stay competitive in this rapidly changing environment, much of which is driven by consumers' behaviors and buying preferences," related Guy Harris, President, North America and Global Revenue, at Elavon. "Today, even sole brick-and-mortar businesses need an effective online presence. Our partnership with Womply further shows our commitment to digital commerce and will help our merchants quickly and easily adapt to changes in the marketplace." "Until recently, small businesses were completely forgotten as Silicon Valley spent decades helping large companies get competitive edge through technology," reflected Cory Capoccia, President of Womply. "We're thrilled to partner with Elavon, one of the industry's top payment processors, to help level the playing field for small businesses." Established in 2011, and named for Founder Toby Scammell's boyhood pet wombat in Australia, according to its website, Wombat currently serves 150,000 businesses. Data Age Business Systems (Clearwater, FL) has released its "Buy/Sell Plus" POS Software. Intended for industries that purchase and sell items from both their customer base and other suppliers, such as jewelry stores and second-hand, collectable, or vintage sellers, Buy/Sell Plus POS follows the company's PawnMaster POS. It includes inventory management; customer tracking, marketing, and messaging; and local, state, and federal reporting. Advanced features include customizable User Interface (UI), mobile payment capability, and e-commerce integration with Amazon, GunBroker, and Facebook. "The system is designed to work within the procedures and protocols such businesses already have in place," enthused Len Summa, CEO of Data Age Business Systems. "You're not running five or six different programs. With Buy/Sell Plus POS, it's all at your fingertips." A busy time for EVO Payments (Atlanta, GA). First, its semi-integrated payment solution has been approved for use with the Tetra Platform by Ingenico Group (Alpharetta, GA). 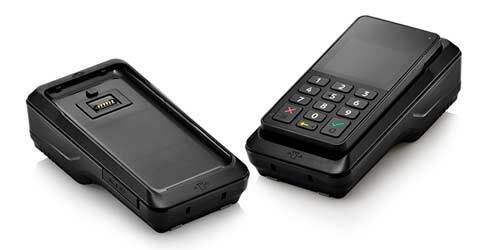 It will work with the Tetra Series of countertop and mobile terminals for MSR, EMV, and NFC. As features of Tetra, there's cross-platform support for iOS, Android, Windows, and Linux; pre-certification and Payment Card Industry (PCI) Compliance; and the HTML5 capacity typically found in fully integrated solutions. In other news, EVO Payments has teamed with Delego (London, ON, Canada). A solution provider in the payments ecosystem, Delego seeks to simplify business-to-business (B2B) transactions via SAP's ERP (Enterprise Resource Planning). A plug-in for SAP will be offered for the B2B by EVO Payments. As benefits of this integration, EVO and Delego cited streamlined workflow, reduced cost, increased data security, and differentiating payment and digital wallet capabilities. "A tailored end-to-end payment solution for SAP," in the words of Scott Johns, President and CEO of Delego. A cold chain compliance solution has been fashioned by Trimble (Sunnyvale, CA) and Digi International (Hopkins, MN). It puts remote monitoring by Digi, called SmartSense, into refrigerated trailers employing fleet management technology by Trimble. Designed to deliver insights in real-time via wireless communications, and delivered as SaaS (Subscription-as-a-Service), Digi's SmartSense monitors essential task management activities and the temperature of perishable, high-value goods being shipped. In support, Trimble and Digi previously announced an integration of temperature monitoring data collected via SmartSense into the Shipment Visibility Platform by Trimble Transportation. 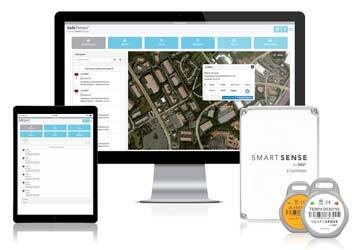 An early leader in IoT (Internet of Things), Digi has deployed SmartSense at over 2,000 organizations in 75 countries. Of this new cold chain solution, Kevin Riley, President of SmartSense by Digi, noted, "The prevention of illness and potential contamination in foodservice, food monitoring, healthcare, and pharmaceutical industries is obviously one top priority, but organizations can also see tremendous business benefits with automated cold chain safety solutions." Also of interest to readers of RRN, Trimble has debuted it final-mile distribution solution, dubbed Trimble SmartDelivery. It employs single sign-on capabilities and end-to-end support for route drivers. A list of functionality includes daily route planning and tracking, compliance with HOS (Hours of Service) and ELD (Electronic Logging Device), out-of-cab workflows, loading/unloading and truck assignment, deviation reporting, and so-called ePOD (Electronic Proof of Delivery). It's offered on select mobile computer devices running Android by Trimble. Janam Technologies (Woodbury, NY) has powered an integrated package for water meter reading. Installed by the Stone Oak Property Owners Association in San Antonio, TX, and configured by VAR Barcoding, Inc. (Baltimore, MD), it runs customized software by The Data Collection Center (Dallas, TX) on Janam's XT2 Mobile Computer. 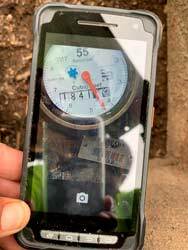 In replacing the former paper-based system, it allows maintenance workers to capture photos of the water meters and record the reading with date and time stamp. In all, Stone Oak has responsibility for 45 water meters spread over approximately 51 acres of common areas. "Prior to deploying Janam's XT2 rugged touch computer, it took our team more than 1,200 hours annually to manage the meter reading system," relayed Meg Lorente, Property Manager at Stone Oak Property Owners Association. "We've not only reduced the time by 40%, but the new system allows us to easily reconcile report results with invoices from the San Antonio Water System (SAWS), and as a result, we have received thousands of dollars in credit due to SAWS overestimating our usage." It also helps identify leaks or pilfering within the irrigation system, she added. Unveiled in 2016, Janam's XT2 features 5" capacitive touchscreen (720x1280), scan engine choice of Zebra SE4710 1D/2D (in the XT2) or Honeywell N6600 1D/2D (in the XT2+), with Bluetooth 4.0, 802.11 Wi-Fi, and 4G LTE WAN. It carries Qualcomm Snapdragon 410 Quad-Core CPU at 1.2 GHz, 2-GB/16-GB Memory, and Micro-SD. In dimensions of 6.1 in. (L) x 3.2 in. (W) x 0.9 in. (D), and weight of 9.8 oz., it has ratings of IP-67 for water and dust, MIL-STD810G for harsh environmental conditions, 5-ft./1.5-m drop resistance, and 3000-mAh Li-ion battery. As O/S, there's Windows 10 IoT Mobile Enterprise (in the XT2) or Android 6 (in the XT2+). 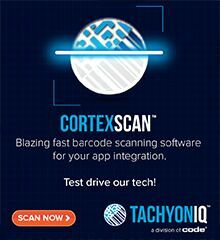 Its eye on the data brought by 2D, prominent grocery chain Schnucks (St. Louis, MO) has turned to Zebra Technologies (Lincolnshire, IL). A variety of new hardware has rolled out in its 100 stores across the Midwest U.S., including, at the checkout, Zebra's Model MP7000 Grocery Scanner and Model DS8178 Cordless Scanner. In addition to reduced double-scans and overall improved checkout speed, Schnucks will handle the GS1 Stacked DataBar for fresh food products. 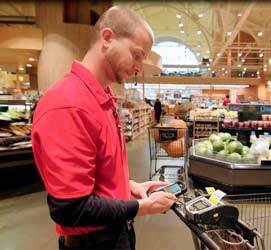 In the aisles, Schnucks' employees are equipped with Zebra's Models TC70, TC51, and TC20 Mobile Computers, running Android and the Schnucks' Shelf Management App ("ShelfMan"). It handles inventory, including ordering of products and item transfer between stores. Models TC70 and TC51 are used in the store; TC20, the pharmacy. Also, Zebra's Model QLn320 Mobile Printer furnishes uniform shelf labels. "Zebra provides an edge in performance to Schnucks' teammates with solutions that help drive top-line revenue, increase staff effectiveness, and improve the overall shopping experience," declared Pat Glennon, VP of North America Enterprise Sales for Zebra Technologies. "Our growing portfolio of innovative, enterprise-class grocery solutions helps Schnucks and our other customers realize gains in performance, loyalty, and shopper satisfaction at the time when the industry is undergoing significant transformation." Schnucks developed its ShelfMan App. -51% would invest more time in sales and marketing to drive new business. -35% would further develop their products and services, saying they have new ideas but no time to focus on them. -32% would spend more time with family, friends, and community. -30% would focus more time on customer service. -22% would use the time on hiring and mentoring their employees. -22% would investigate new technologies and business systems to make their company more efficient. Also, if faced with insufficient cash flow, 26% of responding small business owners report they have gone two to six months without paying themselves, with another 25% forgoing paychecks for more than six months. On average, these small business respondents have run successful companies for 10.5 years. 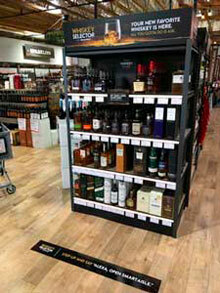 A merchandising display for whiskey now speaks. Installed by retailer BevMo!, in Northern California, the system has shelf room for 50 bottles, an Amazon Echo, and instructional signage for customers. It guides customers through their tastes and budget and suggests good matches for both, indicated by shelf lighting. "Voice commerce is expected to grow from $2 billion today to $40 billion by 2022. When it does, we'll be ready to seize the opportunity," promised Ethan Goodman, SVP of Innovation at The Mars Agency (Detroit, MI). Voice-Powered Merchandising Display at BevMo! APG Cash Drawer (Minneapolis, MN) has named Ron Stephenson as its Connectivity Product Manager. In this role, he will lead the company's mobility, interface, and software integration strategies. Before coming to APG, he held positions of CTO/Development Manager for Tecmark (2011 to 2016), Director of Product Development for NBS Technologies (2000 to 2011), and Software Applications Engineer for Siemens Energy (1995 to 2000). His expertise spans engineering, manufacturing, management of IT, and EMV. "As the demand for new connectivity and mobility payment options continues to grow, it's imperative that we design solutions to meet or exceed customer expectations," explained Bob Stone, Global VP of Product at APG. 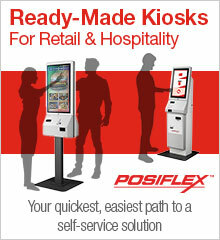 "Retailers today are looking for POS solutions that can speed up the checkout process and reduce labor costs. When deployed, mPOS cash drawer interfaces can assist with queue management, reducing store walkouts and capturing sales at the point of decision. We are excited to have Ron on board as we are committed to developing global cutting-edge solutions for POS." "I look forward to accelerating the development of interfaces and software solutions for APG," contributed Stephenson. "As technology continues to change, it is necessary for businesses to evaluate how to improve products, platforms, or tools. I'm impressed with APG's dedication to quality and their customer-centric approach. I'm delighted to assist in the development in new solutions to globally enhance efficiency and security at the POS." 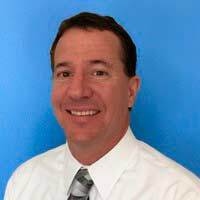 Qu (Bethesda, MD) has enlisted Robert Peterson as its VP of Sales. 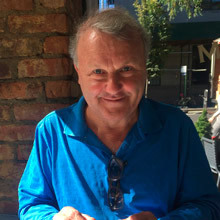 Before joining Qu, formerly Gusto POS, Peterson served as Sales Director of Major Accounts, Brink Software, at ParTech (2017 to 2018). An extensive resume entails Senior Account Executive at Tillster/EMN8 (2009 to 2014), Channel Sales Manager at NCR (2006 to 2009), National Account Executive at Spencer Technologies (2003 to 2006), Professional Services Sales Manager at Symbol Technologies (2000 to 2003), and Pre-Sales Systems Consultant at Intermec Technologies (1995 to 2000). "I am really excited to welcome Robert to the executive team at Qu," commented Amir Hudda, CEO of Qu. "As Qu continues to experience incredible growth, Robert's industry knowledge, technical expertise, and enterprise sales and management experience make him a great addition. I look forward to working with him as Qu delivers the modern solutions in POS that limited service restaurant chains need in order to move faster, stay nimble, and increase profits, today and beyond." "It's an incredible opportunity to join Qu's leadership team comprised of technology entrepreneurs and restaurant industry veterans," volunteered Peterson. 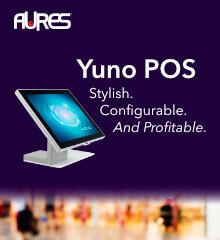 "Qu's unique architecture and scalable platform sets a new bar for restaurant POS. I'm eager to show enterprise brands how Qu can support their customer engagement objectives and to share more about Qu's POS, in-house delivery, and self-order solutions." In February, Qu received $10 million in Series B funding. 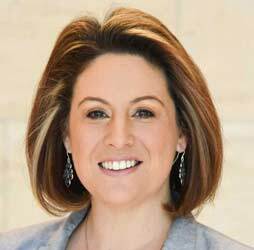 First American Payment Systems (Fort Worth, TX) has engaged Sarah Adams as its VP of Global Product. She brings experience as VP and Senior Project Manager for Capital One (2001 to 2011), Senior Product Delivery Manager for POS Portal (2011 to 2013), and VP of Card Present Product for Paysafe (2013 to 2019). Also, she serves on the Verifone Advisory Board, Electronic Transactions Association's Retail Technology Committee, and CardFlight's Advisory Council. "Sarah brings an impressive track record to First American, particularly for her ability to conceptualize emerging product needs and bring them to market in a timely manner," contributed Bill Lodes, EVP of Business Development and Strategy at First American Payment Systems. "We are thrilled to have her on our team." Started in 1990, and emphasizing integrated payments, with participation of VARs, ISVs, and ISOs, First American Payment Systems has 220,000 merchants worldwide.